Jennifer Harris is Associate Professor of English, University of Waterloo. Her essays have appeared in Canadian Literature, Journal of Canadian Studies, Legacy, African American Review, and elsewhere. 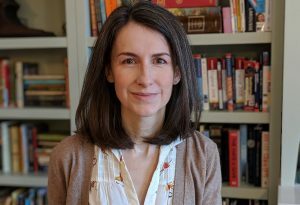 She is the co-editor of the Norton Critical Edition of The Coquette and The Boarding School, as well as a collection on American Literary Tourism. This essay expands our understanding of nineteenth-century Black Canadian writing by introducing the case of Peter Edward Susand. Susand’s 1856 volume of poetry, published in what is now Kitchener, has been lost, raising the questions: how do we write about authors whose work hasn’t survived? Can we recuperate the literary practices of these individuals in the absence of their writings? Is it possible to marshal other evidence to reconstruct their literary networks and affiliations? What might we gain by undertaking such scholarly excavations? And how might doing so on behalf of those authors whose works haven’t survived shift our understanding of nineteenth-century Black Canadian literary culture?